In the wake of the shocking and tragic massacre in an Aurora, Colorado movie theater, many people are now, understandably, skittish about going to the movies. But the most dangerous part of going to the movies is driving there. In the first three months of this year, the National Highway Traffic Safety Administration estimates that 7,630 people died in traffic crashes on American streets. That’s 910 more than the first quarter of last year — a sobering 13.5 percent increase. 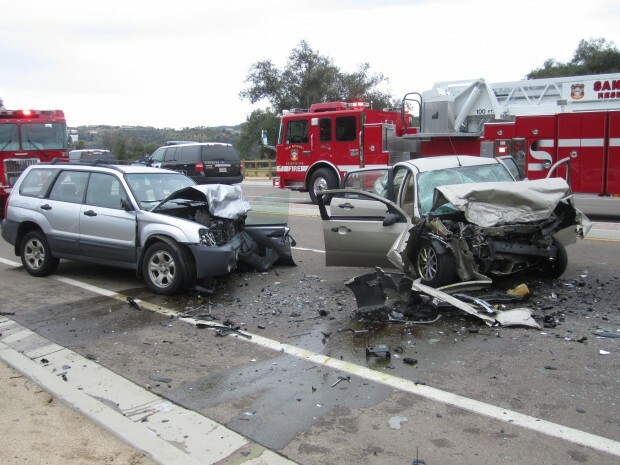 This is only the third quarter since 2006 to see an increase in fatalities. An increase in distracted driving, which kills about 3,000 people a year, could be part of the reason. The National Safety Council estimates that about a quarter of all crashes involve cell phones [PDF]. While more and more states have banned cell phone while driving, the effectiveness of those bans is questionable. The rise in fatalities this year could also have something to do with the mild winter. NHTSA says severe weather keeps people off the roads — though one might theorize that it also causes more crashes. In any event, the growth in fatalities far outpaced the growth in driving during this period. Vehicle miles traveled rose just 1.4 percent over the same time last year. If the spike in traffic deaths continues, it might also indicate that the last three years of relatively low fatality rates were an aberration. The congratulatory rhetoric that greeted the 2010 death toll of 32,885 — down from 37,423 in 2008 and 43,510 in 2005 — might have been premature. The first three months of the year have America on pace for 36,672 traffic deaths in 2012 — close to 2008 levels. In subsequent reports, the NHTSA will release a breakdown of the fatalities, including pedestrians and cyclists. In December, we reported that amid much celebration of lower crash fatalities, pedestrian deaths have been on the rise, increasing 4.2 percent while other kinds of traffic fatalities decreased. Any evidence that cars being used longer might have to do with this? TSA searches have prompted people who might otherwise fly to hit the highways. More americans died in traffic crashes in the first 3 months of 2012 (7,630) then in 11 total years of war in Iraq and Afganistan (6,280). im solely convinced that cell phones and texting and other “browsing” are the main cause of this. ive seen too many times clueless drivers wandering in lanes and looking over, i see a texter. folks, put down that cell phone. texting grandma can wait. those angry birds will still be angry later. spelling a word like SHEQEL can wait. The fatality rate in the quarter we are comparing against (Q1 2011) was unusually low – 10% below the annual value and below everything pre-2010. So this makes the new data seem high in comparison, but really it is not out of line. No need to freak out. I don’t see any reason to believe that people were texting etc more frequently in 2012 than in 2011. So it seems to me that the “mild winter” explanation is more plausible than the “distracted driving” explanation. Unemployment has been edging downward, so more tired people going to and from work and errands. Combine that with a milder winter. as well as naturally occurring statistical variation, and the increase in fatalities seems understandable. Come on, was that lede necessary? I’m growing increasingly embarrassed to read this blog. Your snark is showing, Tanya. There is absolutely nothing “snarky” about reminding people of the horrific scale of traffic violence. I’m getting increasingly frustrated with people showing bar graphs of % changed. These sort of graphs purposefully obfuscate the numbers. The number of fatalities is still down from many of the years that came before it. If there were only 2 deaths last year and this year there were 4, there would be a “100% increase in deaths!” Ridiculous. If you did a bar graph of the actual NUMBER of fatalities, the percent changed would be obvious graphically — that’s the whole point of using a bar graph. Instead, plotting a rate change as if it were an absolute number removes its context to the year that came before it. Doing it this way means I have absolutely no idea how the number of crashes today relate to the crashes in, say, 1982. I have a request for Streetsblog: can you make all external links in your articles (and headlines, calendar, etc) open up in a new tab? That seems to be standard practice and means that I don’t have to lose my place on Streetsblog to read an article on another site. http://www.distracteddrivinghelp.com/ for more great info on distracted driving! Streetsblog, some of us like it as-is. Just FYI. People’s roadway behavior seems to be getting worse, also. This is as large a factor as distracted driving, I think. The graph is mislabeled. The vertical axis should be % change from previous year-quarter, not % declines. As it is now, it indicates a 13.5% decline in deaths.